I have had many teachers in my lifetime, and many more to come should I ever decide to attend grad school in the future. It’s amazing how some of the most bizarre details of these individuals, the people we spent five days a week for seven or so hours a day, listening to and observing as if they were on display at the local zoo, stick out to us years after we were their students. Some of my earliest memories of my teachers are details of how they looked. 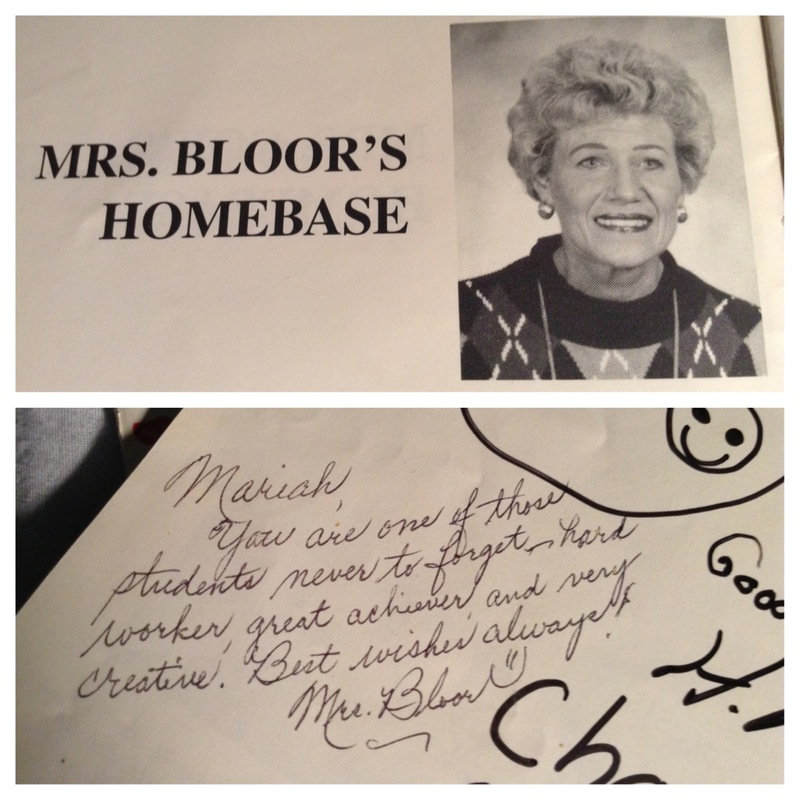 Take my first through third grade science teacher, Mrs. Bloor, for example. She had white-blonde curly old lady hair (you know, like a grandma! ), she would draw on her eyebrows and had the kindest smile. I found my old yearbook to double check this and lo and behold, I remembered her perfectly! And then there are the odds and ends I remember about the music teacher from the same grades, Mrs. Miles. She had two, big, black poodles she loved talking about! my family and I also would bike past her house when the weather was nice, so I saw them in person a few times, too. I loved her class because she introduced us to music from around the world. One of my favorite memories is that of her dancing around the room holding a rain stick while tribal music played on the speakers. She was teaching the class a chant or something, but that part is hazy. I’ve always had a love of music and I think her class taught me at a very young age to appreciate and enjoy all kinds of music. There are two teachers from this school I have seen periodically over the years, who surprisingly remember me. Most recently I saw my kindergarten teacher, Miss Cobbs (she has gotten married and changed her name since I was her student all those years ago), at the first high school football game of this season. I moved school districts when I was going into the fourth grade and for the opening game this year, the school I graduated from was playing the school district I use to attend and she was at the game. I could tell you it’s a small world running into her, but my mom is a teacher in this district as well and they keep in touch at district wide meetings and whatnot. I would also like to point out that I’m as tall as she is, not that that’s saying much as I stand a barely respectable five feet, four inches tall. She also couldn’t believe I was 25, honestly, where has the time gone?! 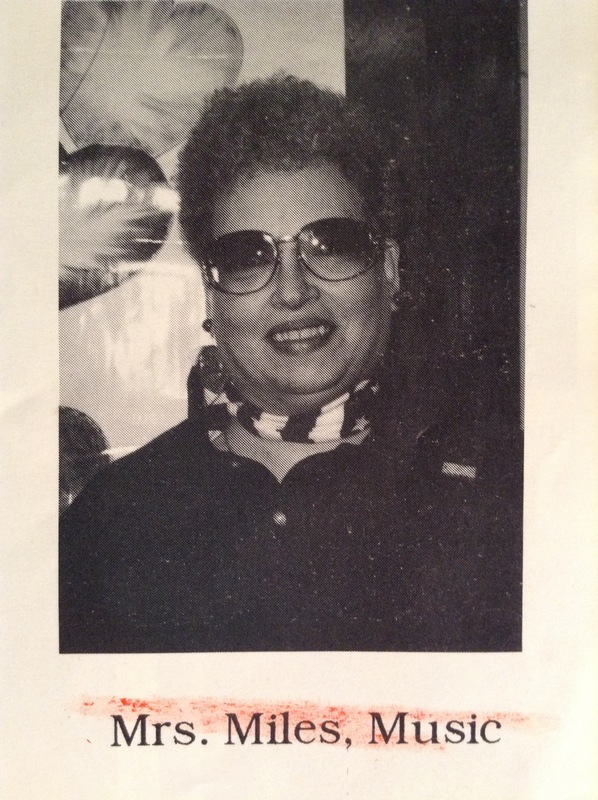 The other elementary teacher I have seen from time to time over the years was my reading teacher, Mrs. Searfoss. If my mother hadn’t ingrained a love of reading in me from such a young age, I feel I still would have developed it in her class. I can remember reading and writing poems, short stories and her bubbly, infectious laughter. When I moved schools, she mailed me a letter and a book. I came across them just a few months ago tucked neatly away in a box hidden in the back of my closet, which means that at this moment when I’d like to take a photo of them, they are nowhere to be seen. I’ve had dozens of teachers over the years, but none has had as great an impact on my life outside of school as that of my seventh and eighth grade language arts teacher, Mr. Lawrence. While the story of how I got my nickname is interesting to tell, it’s not the true reason why Mr. Lawrence is mentioned in this particular post. 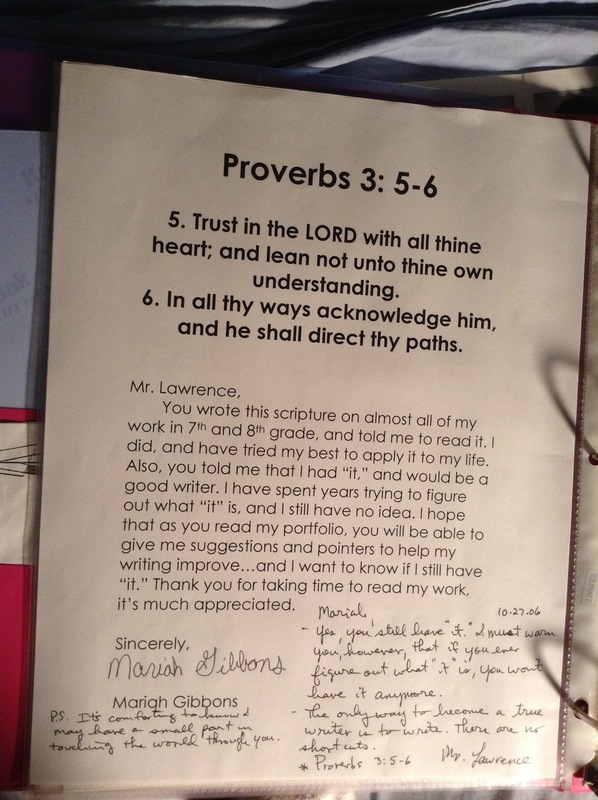 I chose to include and publicly thank him because he was the first teacher to recognize that I was a writer. Growing up I always enjoyed writing. I began keeping a detailed journal at age 10 and I was constantly making up stories and writing poems. And finally, someone outside my family recognized that talent in me as well. Many times he told me that writing was going to be important in my future and he was right. I spend my days using the skills he taught me at work to write press releases, blog posts and other various projects. And in my free time I am journaling and blogging. And I am happy to say I have still yet to figure out what “it” is, and honestly I think that’s why writing is still so effortless and enjoyable to me. And that is something I hope never changes.